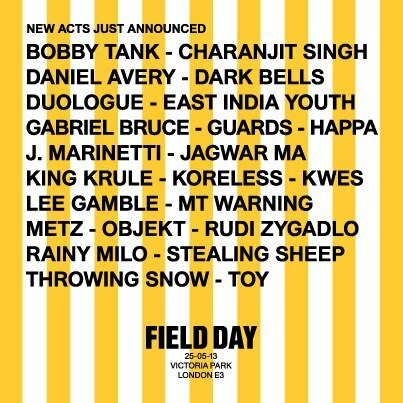 Lots more acts added for Field Day 2013 including King Krule, Kwes, Koreless, Happa, Stealing Sheep, Lee Gamble, Objekt, Rainy Milo and more. Listen to another new episode of Field Day Radio as the excitement builds: Click here. Early Bird tickets (on sale for a very limited time) – £54.50 TICKETWEB – Buy here. 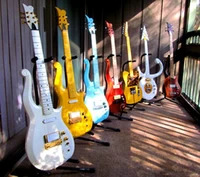 SEETICKETS – Buy here. For more information and news on the event keep an eye out on the Fried My Little Brain Facebook, Twitter and Website. So in the mean time lets start getting hyped for Field Day 2013 with these 4 MORE tunes. Looks like Field Day will be a treat or all beat heads out there.